Since the late 1980s, queer studies and theory have become vital to the intellectual and political life of the United States. This has been due, in no small degree, to the influence of Eve Kosofsky Sedgwick's critically acclaimed Epistemology of the Closet. 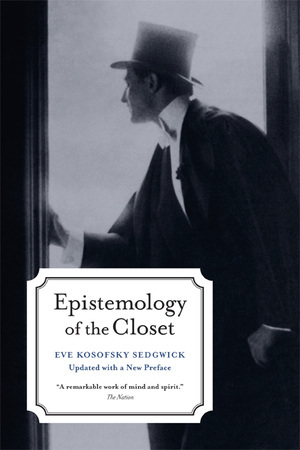 Working from classic texts of European and American writers—including Melville, James, Nietzsche, Proust, and Wilde—Sedgwick analyzes a turn-of-the-century historical moment in which sexual orientation became as important a demarcation of personhood as gender had been for centuries. In her preface to this updated edition Sedgwick places the book both personally and historically, looking specifically at the horror of the first wave of the AIDS epidemic and its influence on the text. Eve Kosofsky Sedgwick is Distinguished Professor of English at City University of New York Graduate Center. Her books include Between Men, Tendencies, A Dialogue on Love, and Touching Feeling.